Older homes are a treasure because of their unique character and history. However, they usually require electrical updates and modernization for them to be livable by today’s standards. If you are considering buying a house more than 50 years old, take note of some the common electrical issues in older homes. Homes constructed before the 1930s used knob and tube wiring. This consisted of open wires running through tubes in the walls that were held up with knobs. Unfortunately, with age, the tubes wear out and the wires start to deteriorate. This kind of electrical wiring poses as a major risk and should be upgraded immediately. Damaged or missing insulation could expose you or your home to a live wire. Domestic power that was used thirty or fifty years ago was much less in comparison to today’s power consumption. Older homes were constructed with just enough power to run the basics. However, today’s average household requires much higher electrical power to meet the high-energy demands of modern appliances and technology. 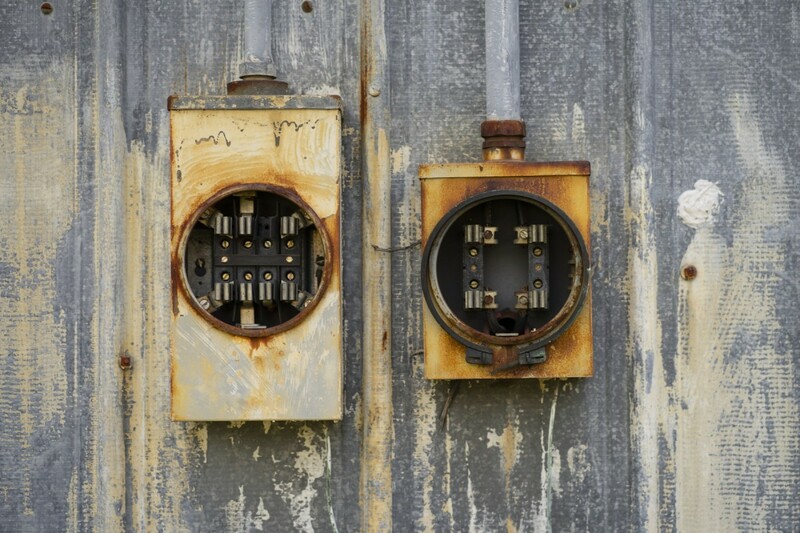 Older electrical panels are most likely insufficient for today’s power needs. In older homes, switches are likely to buzz and pop. This is an indication that the switch is faulty. It could also mean some wires are in contact with something they should not be. Unexplained flickering lights indicate a potential wiring problem. When lights flicker, there could be a short in a fuse or an over-extension of the electrical system. Also, if your older home has copper and aluminum wiring joined together with the wrong connectors, they will corrode and cause flickering problems. Electrical issues in older homes are inevitable. Existing older homes wiring and main electrical panels can easily become outdated. So, for your safety, contact your local electrician for an inspection. If you have an older home and are looking for an electrician in Frederick County, contact Tim Kyle Electric. From buzzing switches and flickering lights to new wiring and electrical panel upgrades, we can address all of your electrical needs.